You may have gathered from some of my posts over the last couple of weeks, including the last one, that I’ve been reading Does Technology Drive History? : The Dilemma of Technological Determinism edited by Leo Marx and Merritt Roe Smith. Previous posts have drawn on one or two chapters in particular. Here is a review of the whole for those who may be interested. Incidentally, the whole is quite complex and dense, so this does not do it justice. After the review, I’ll add just a few more thoughts that have occurred to me since writing the review. I’ve also edited out the paragraph on Marx’s essay since I discussed it at length in the previous post. Having worked through the essays collected in this volume, one may be tempted to conclude that the title question finally dissolves into a debate about semantics and taxonomies. The dilemma is real enough, and palpably so. That technological determinism, as more than one author noted, is such a hard notion to dispel, that it is repeatedly resuscitated, that it can exert such a powerful influence upon the popular imagination — all of this suggests that “technological determinism” attempts, however unsatisfactorily, to name a phenomenon that is still in search of adequate description and explanation. The essays collected by Smith and Marx (a historically suggestive pair of surnames) in Does Technology Drive History? are an effort to name this elusive phenomenon. The first two essays, by Merritt Roe Smith and Michael L. Smith respectively, provide a cultural frame for the succeeding discussion. They each draw on visual resources, particularly the lithography of Currier and Ives, to illustrate the deep and abiding faith in technologically abetted progress that animated American history. The iconography of railroads, steamships, and telegraph lines infused popular scenes depicting the advance of technology and civilization across the American continent, simultaneously dispersing darkness and displacing dissidents. These essays also point to the first of many distinctions that the reader must bear in mind as they attempt to hold the rich complexity of the debate in mind. The distinction in this case is between the fact and the idea of technological determinism. The status of the former is, of course, the question under debate. The latter, however, is a matter of belief independent of the ontological status of the object of belief, and it is apparent that belief in technological determinism functioned as an article of faith in nineteenth century America expressed most commonly under the banner of Progress. This important distinction between the (debatable) reality of technological determinism and technological determinism as an idea that is widely accepted recurs in the later essays by Rosalind Williams and Leo Marx. Williams also links the notion of technological determinism to a faith in progress, but she finds her link outside of the American context in the work of two French Enlightenment writers, Turgot and Condorcet. Like their nineteenth century American heirs, Turgot and Condorcet believed civilization would advance in step with technological and scientific progress. Whether or not this was objectively true, it was subjectively believed, and more importantly, acted upon. “Ultimately,” Williams concludes, “not machines but people create technological determinism.” And following Mumford and Havel, Williams would have us ask whose interests are served by the proliferation of the idea of technological determinism. The semantic angle is pressed most forcefully by Bruce Bimber who identifies three accounts of technological determinism: normative, nomological, and unintended consequence. In good analytic philosophical style he then precisely defines “technological” and “determinism” in such a way that all but nomological determinism fail to meet the definitional standard. The nomological account, of which Heilbroner’s classic essay reprinted in this volume is representative, posits a law-like relationship between technological causes and social effects. Using the debate over technological determinism in the thought of Karl Marx as a case study, Bimber concludes that a theory of history that would meet the criteria of nomological determinism would be implausible. Thus, he urges that we clear the debate over the social consequences of technology of the obfuscating language of determinism. In the remaining essays dealing with the question of “technological determinism’s” status as historical reality, we find more parsing, defining, and categorizing. The usual pattern is to define two extremes and then offer a third mediating position. The essays by Thomas Hughes and Thomas Misa each present a variation of this approach. Hughes seeks to stake out a position between technological determinism on the one hand and social constructivism on the other. He finds both accounts ultimately inadequate even though each manages to grasp a part of the whole situation. As a mediating position, Hughes offers the concept of “technological momentum.” By it Hughes seeks to identify the inertia that complex technological systems develop over time. Hughes’ approach is essentially temporal. He finds that the social constructivist approach best explains the behavior of young systems and the technological determinist approach best explains the behavior of mature systems. “Technological momentum” offers a more flexible model that is responsive to the evolution of systems over time. If Hughes’ approach is essentially temporal, Misa’s account is in some sense spatial. He positions his approach between “micro-level” and “macro-level” approaches to technological systems. The claims made by macro-level analysis, technological determinism’s natural habitat, cannot be sustained at the micro-level. But large trends and the social consequences of technological change remain invisible at the micro-level. Misa recommends “meso-level” analysis focused on institutions of mediating scale situated “between the firm and the market or between the individual and the state.” At this level Misa believes scholars are most likely to integrate the social shaping of technology with the technological shaping of society. Philip Scranton is likewise sensitive to matters of scale when he proposes that “totalizing determinisms” be replaced by “local determinations.” In his view, the resolution to the dilemma lies in particularizing the object of analysis. Scranton’s essay is a reflection on matters of historiography. He finds that master-narratives of progress and technological determinism have clouded the vision of historians of technology to the contingent and particular. His sensibilities are essentially postmodern and they include the rejection of grand narratives, the embrace of a “plurality of rationalities,” and a focus on matters of power differentials. He urges an approach which shares a certain affinity with Clifford Geertz’ “thick descriptions,” some of which might uncover local instances of technological determinism, but many more which will not. Perhaps the most pertinent consideration that arises from the essays described above, as well as those that were not mentioned, is that the question of technological determinism is enormously complex. Because of this it might seem pedantic to note areas that were left unexamined, but it is curious that very little mention was made of what Walter Ong has labeled “technologies of the word.” These technologies — writing, printing, and later electronic means of communication — influence human beings at the most fundamental level, that of thought and expression. Whether they are finally endorsed or not, it seems negligible to omit mention of the work of Ong, his teacher Marshall McLuhan, or the German theorist Friedrich Kittler who, among others, have each in their own way drawn attention to the formative influence of communication technologies on individual consciousness and society. Interaction with the work of practice theorists such as Pierre Bourdieu and Michel de Certeau might have also added yet another rich layer of analysis by seeking to locate the nexus of technology and society in the embodied rituals of everyday life which structure the lived experience of individuals. A mere hint in this direction is offered, incidentally it would seem, by J. M. Staudenmaier in his closing essay when he alludes to the “catechetical extremes of the Disney imagineers” in constructing the EPCOT experience. In fact, technologically inflected catechetical instruction of habits and beliefs is on offer throughout society, not only at EPCOT. Examining these technological dimensions of lived experience would seem to be yet another potential source for theorizing the question of technological determinism. 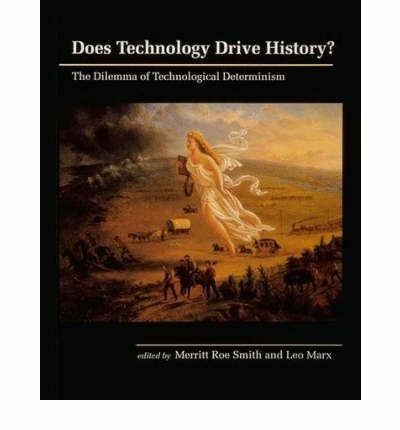 Altogether, however, the essays collected by Marx and Smith offer an invaluable entry into the debate over technological determinism and, through this debate, into the larger question of technology’s role in society. A question that is increasingly becoming more, not less pressing. a. Media theorists (or media ecologists), philosophers of technology, and historians of technology could benefit from more interaction. Specialization is the rule of the academy, of course, and the professional associations, but the question of technology involves such an interdisciplinary set of considerations that it necessitates a variegated, inter-disciplinary approach. As I mentioned in the review, it is unfortunate that hardly any reference at all was made to the consequences of communication technologies for thought and expression. But, the flip side is that the theorizing of media theorists and the philosophizing of philosophers of technology is sometimes untethered from concrete, historical analysis and all the worse for it. As I mentioned in an earlier note, I am struck by the degree to which our readings and interests coincide. This book was very important in framing my own thinking on the issue of technological determinism, even though in the end I disagreed with the overall thrust of its essays, which as I recall (it’s been a long time since I read it) lean distinctly toward social constructivism. I found Marx’s essay on technological pessimism and his more recent recitation of the same essential argument especially challenging. Reading your essay this morning reminded me that I found Thomas Misa’s arguments most appealing and Philip Scranton’s least appealing. I won’t go into a detailed response to your comments or the arguments in the book here, but will note a couple of things. I think you’re accurate in your previous post on Marx in saying that he poses an important question: “If we feel a loss of agency in the face of modern technological systems, is it in part because of the adoption of the abstract language of “technology”? Nonetheless I disagree that postmodern skepticism toward the technological project is a product of reification. I realize that Marx asked if thinking of “technology” in generalized and abstract terms contributes *in part* to our loss of agency, but as I recall his two essays implied that such thinking played a large and possibly (excuse the pun) determinative role in that perceived loss of agency. The virtual impossibility of actually changing the momentum of the vast technological systems in which we are embedded (Hughes’ “momentum”) explains why postmodern technological pessimism is so prevalent in the culture today, and in my view so reasonable. I admire Marx as a historian immensely (“The Machine in the Garden” is high up on the list of my favorite books) but I think the implication of these essays that it is in our power to change technological systems and that technological pessimism is therefore an evasion of personal and social responsibility is misplaced. What we’re really talking about is the question of technological autonomy, and on that subject I highly recommend Langdon Winner’s seminal book, “Autonomous Technology.” Winner is a strong (but not slavish) defender of Jacques Ellul (public enemy number one for the social constructivists) but, like Ellul, he is not so foolish as to believe that machines shape the culture independently of human beings. (I also recommend Winner’s later essay, “Social Constructivism: Opening the Black Box and Finding it Empty.”) If the human being is acknowledged as an essential element in technological systems then technological determinism – and technological pessimism – make more sense. This as I recall is consistent with Thomas Misa’s arguments. Which of those two entities, society or technology, is the “primary member” in the relationship, as the philosopher of technology Carl Mitcham puts it, varies in different circumstances, but in every case both are involved. Doug, thanks so much for the thoughtful response. The collection of essays certainly does lean decidedly toward the social constructivist position. My sense is that this reflects the general consensus that appears to still hold sway among historians of technology. It probably also reflects more general trends within the discipline of history as a whole. Historians, too, focused as they are on both the particular and the concrete, may be less inclined to practice the sort of macro-level theorizing in which, as Misa pointed out, technological determinism may find its natural habitat. I think we are in basic agreement regarding Marx’s essay. The general tone of both his articles suggests that he believes technological determinism to be a wholly linguistic construct with no real-world referent. If so, then yes, this also strikes me as inadequate. As Marx himself argues, there was an as yet unnamed reality in search of a language to name it that “technology” fit. That reality existed prior to the language that arose to name it. Of course, Marx could argue that whatever that reality was it was not determinative, and the choice of “technology” gave the impression that it was, etc. Like you, I tend to find Hughes’ notion of “momentum” very helpful in understanding this issue. I also find that it takes into account the value of the social constructivist approach while also accounting for dynamics that such analysis tends to miss. Basically, the social constructivists are very good on the development, introduction, and adoption of new technologies, but are less helpful in helping us understand the long term consequences. “Momentum” addresses this need. And it seems to me that, indeed, the best model will account for the reciprocity between society and technology. If for no other reason than that they are always already implied by one another. This is more or less what I tried to articulate in the post I linked at the end of this one. Believe it or not, I’ve not yet read Winner’s work on this, but it is definitely on my to-read list. It is, however, a long list! Thanks again for the interaction. I’ll be adding a quick note pointing to your comment here in the post on Marx’s essay. Your comment that social constructivism “reflects the general consensus that appears to still hold sway among historians of technology” is very much affirmed by John Staudenmaier’s ending essay in this collection, where he saws that “contexturalists” (his more gentle word to convey the idea that technology is shaped within and by a broader social context) dominate the membership of SHOT. See pages 267-269 of the paperback in particular. As useful as Hughes’ concept of “momentum” is, I have always been somewhat bothered by the word, because it implies movement where in some ways what he’s really talking about is lack of movement — inertia (i.e., inability to change) rather than momentum. When you get to Winner’s book you will find his description of what he calls the “technological imperative,” which is in some respects a more useful term for describing much the same phenomenon, i.e., our social, political, and economic commitments to vast technological systems and the various infrastructures that support and depend on them. As for not having gotten to Winner yet, believe me, I too have a long, long list of books (and articles, and blogs) I simply must read, but haven’t yet!